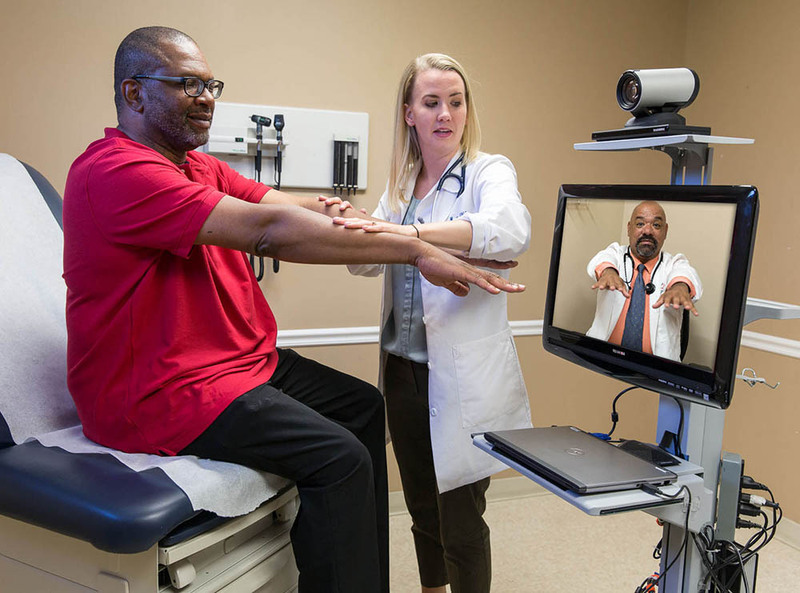 What to expect from your telehealth visit. You will need to fill out a consent form stating that you understand your visit will be conducted using telemedicine. Depending on the service, you may need to fill out additional paperwork. Our staff members will be on hand to answer questions and help you fill out forms. Your appointment will be the same as a regular visit, only your specialty provider will be on a television monitor. One of our staff members will be in the room with you to handle the telehealth equipment. Depending on the type of service you are receiving, there may be a physical exam required. A nurse or other healthcare provider will be there with you to make sure you receive excellent care. At the end of your visit, the specialist will have a plan of care for you which may include medications or follow-up visits. Our staff will help answer your questions and schedule appointments. At Finger Lakes Community Health, patient privacy and protection is our number one goal. Just like any visit to your doctor, telehealth services are completely confidential and compliant with HIPAA (Health Insurance Portability and Accountability Act) regulations.